Welcome Can four become five? Hello! I'm Flo, and if you're here, you are probably curious about my desire, no, NEED, for one last UC techo. So just for you, I've created this petpage for the express purpose of telling you about the whys and the hows. 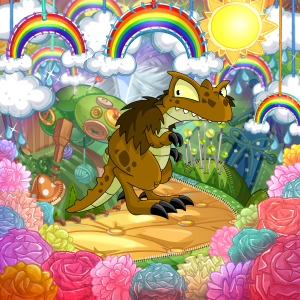 I already traded for 4 UC techos, with Nak the tyrannian being owned by me since 2011. You can see them on the right. Aren't they cute? (In an odd sense of the word, I guess!) I'd like to complete my techo squad with an unconverted plushie techo. 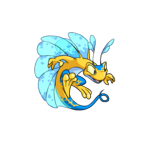 I no longer have to choose just 4 techos, now that we have space for 5 pets! 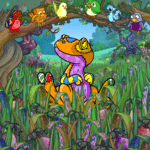 You can see my current pets UFT here as I work toward a fair offer. Why the UC techo? One word: need. Before you ask, no, I don't own any lizards in real life. But that doesn't mean I can't love them, right? I remember when my friend's poor little salamander peed in my hand when I was 8 - didn't mind it then, still love them now. There's just something about their slender, yet squishy bodies. Also, they slither around to poke their heads into little holes and crevices. The way the UC techos look give off that curiosity vibe. I love it! Why unconverted and not converted? 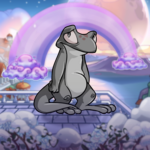 Although I have been on Neopets for a long time, it's not the nostalgia. It's really the fact that I highly dislike the awkwardness of the converted poses and love the variations within the unconverted poses. This is not to say that I only like UC pets - I like converted pets of other species and enjoy spoiling them with clothes. But the techos... TNT could've done better. To me, the unconverted counterparts clearly win out. 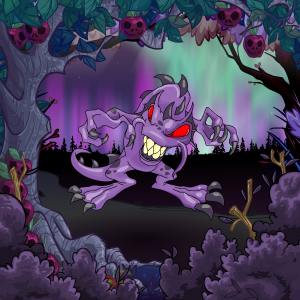 The tyrannian has the posture of a grumpy old neighbor gardner, the grey is forever sighing, and the darigan looks like it's about to scramble around all over the place. The faerie and the plushie are especially wonderful - a curious face that flits about and an endearingly cheerful pet hoping for a belly rub. Who will this techo be? well, X for now. One word describes X. Well, two. X is a space cadet. Completely unaware of everything and everyone around. Trying to make cookies? X will probably burn his little lizardy paws while thinking about why violets, roses, and sunflowers all have different centers. Trying to play a fun game of soccer? Don't count on X as a teammate because he'll probably be pondering about what the best time is to knit a sweater for a friend's birthday 10 months from now. In short, space cadet. Let me state what I won't do. I won't be training the little lizard. I already have a battledome pet on my main account and don't feel the need (nor have the neopoints) to have two. I won't be reading books or feeding fancy foods to the techo either. I don't know what it is about me, but I'd rather place items into a gallery and collect them instead of use them. Speaking of which, I need to decide on a gallery theme. 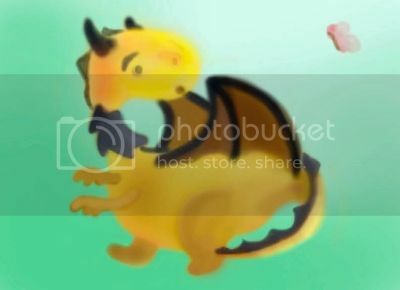 Hopefully, I've given you a taste of what's to come for my future little lizard. If you have more questions, mail me and I'd be happy to talk! I need more friends. Techo Squad One, two, three, four... Where's five? Hover over each pet to read about them! Even though she's the most recent addition to Flo's techo squad, Shirley is most definitely not shy. She's quite the adventurer, but if you need to find her quickly, all you need to do is bake some fresh cookies. She'll appear in no time. Dear old Nakke. She just wants to be left alone in her little cottage deep in the woods. She loves the quiet and peacefulness of hermithood. Too bad for her though... Ever since Flo and her techos met her, they wouldn't stay away. Sigh. At least they bring food. 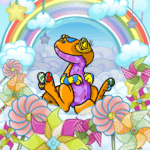 Vami used to be a bright rainbow lizard. She was on top of the world - brave, loved, loyal. 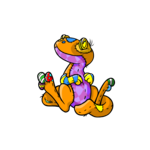 One day, a terror of neopia took advantage of her friendliness and took her into the shadows. When Vami finally noticed what she had done, it was too late. Now she spends her days repenting for all the crimes she has apparently committed.